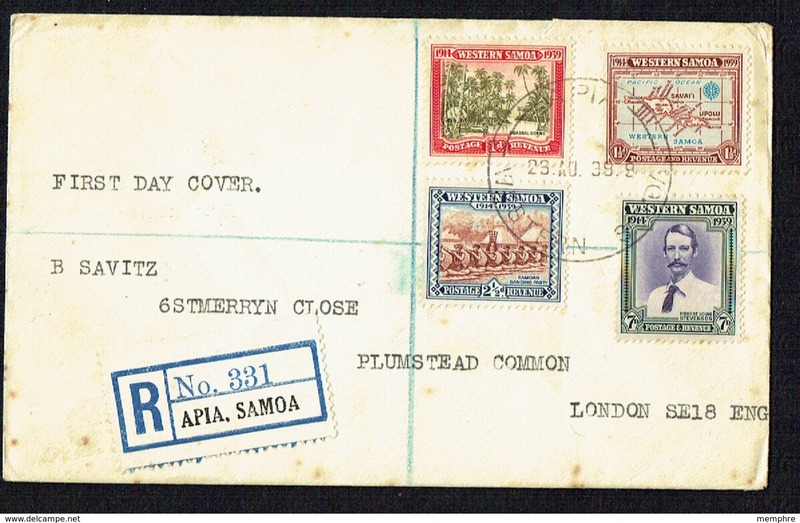 New Samoa 1955 £1 pink unmounted mint. 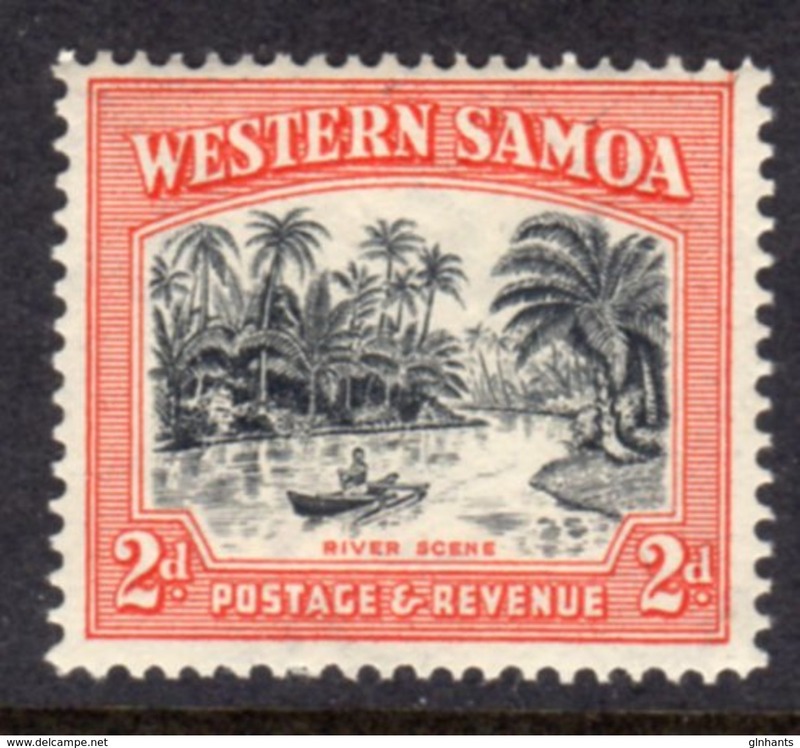 New Samoa 1955 10s carmine-lake unmounted mint. 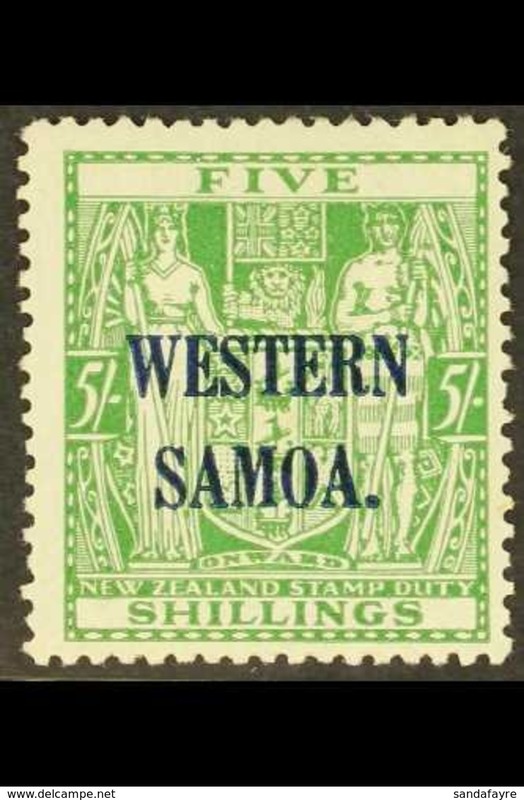 New Samoa 1955 5s green unmounted mint. 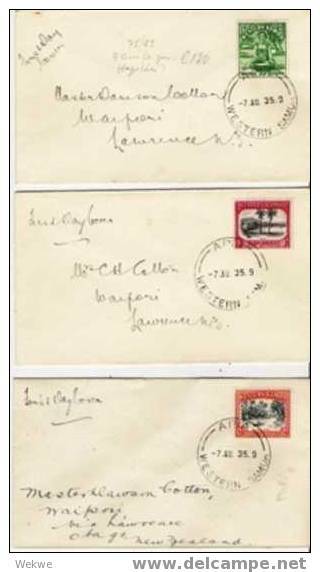 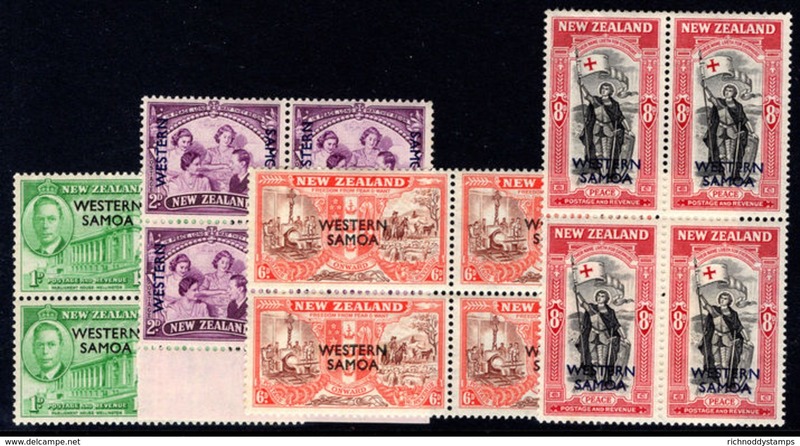 New Samoa 1946 Peace blocks of 4 unmounted mint. 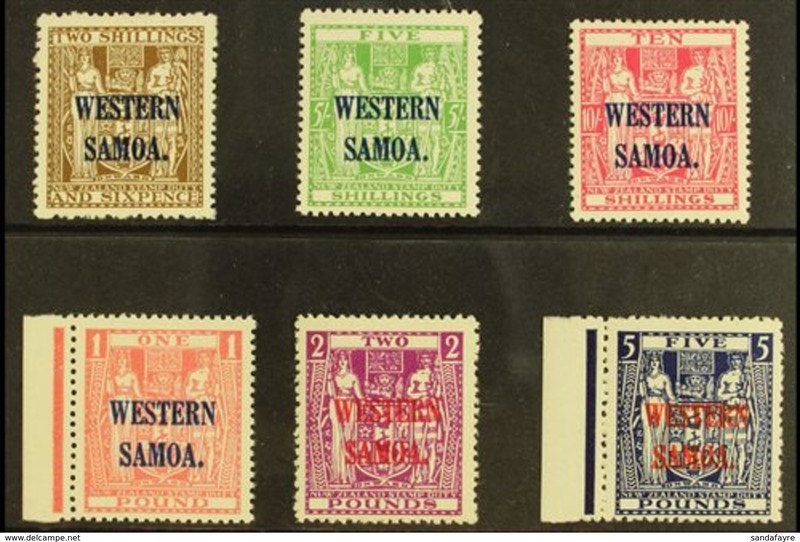 New Samoa 1925-28 5s yellow-green lightly mounted mint. 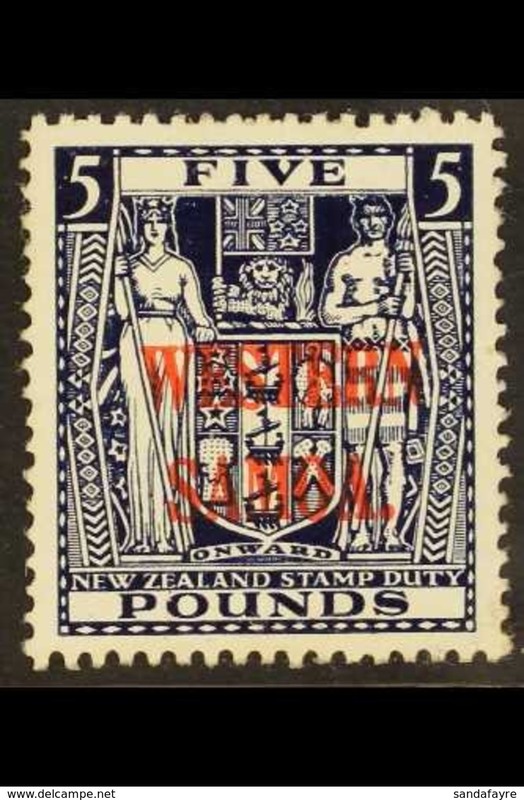 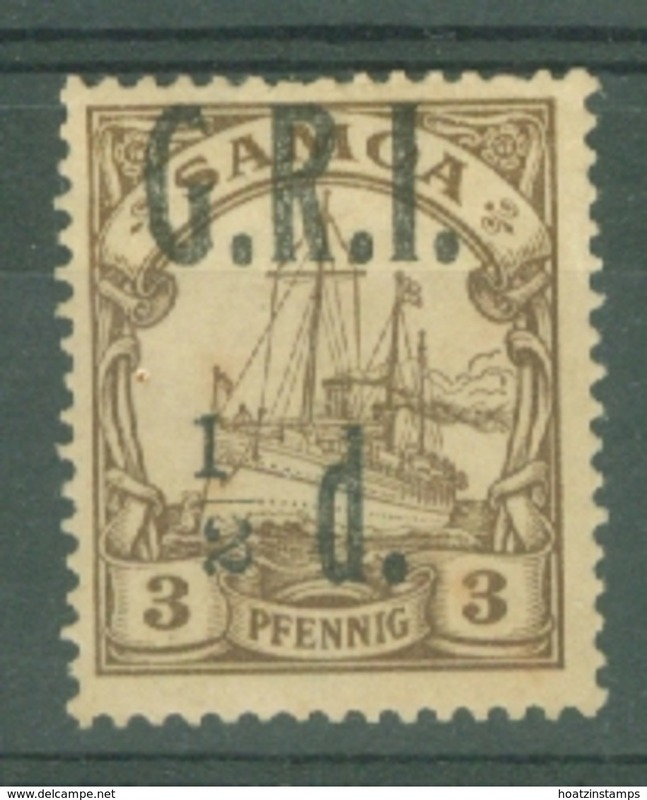 New Samoa 1925-28 2s6d deep grey-brown lightly mounted mint. 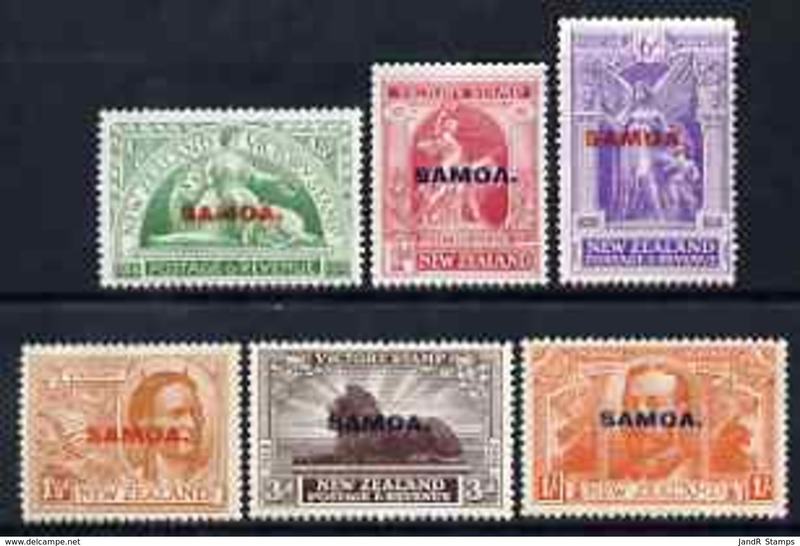 New Samoa 1914-24 2s blue perf 14½x14 lightly mounted mint. 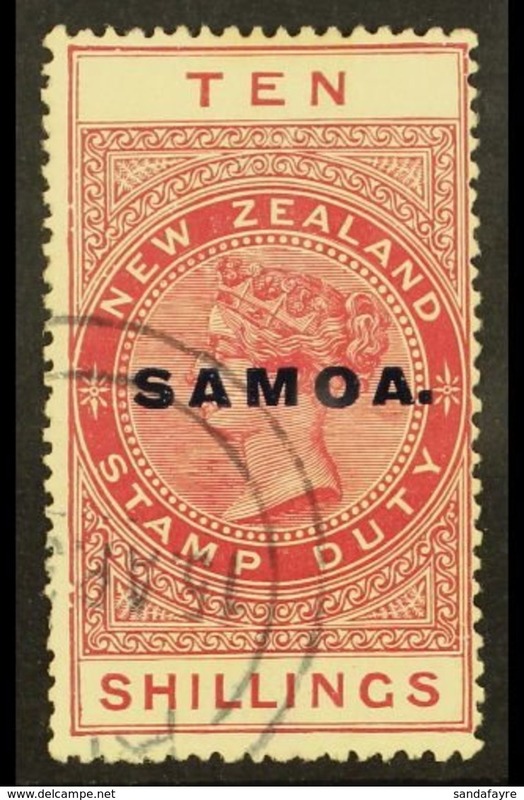 New Samoa 1895-1900 3d on 2d deep red-orange typographed lightly mounted mint. 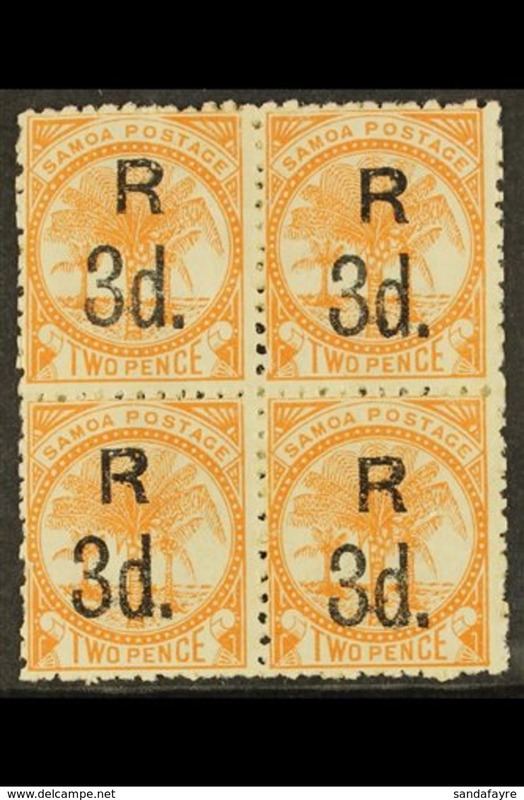 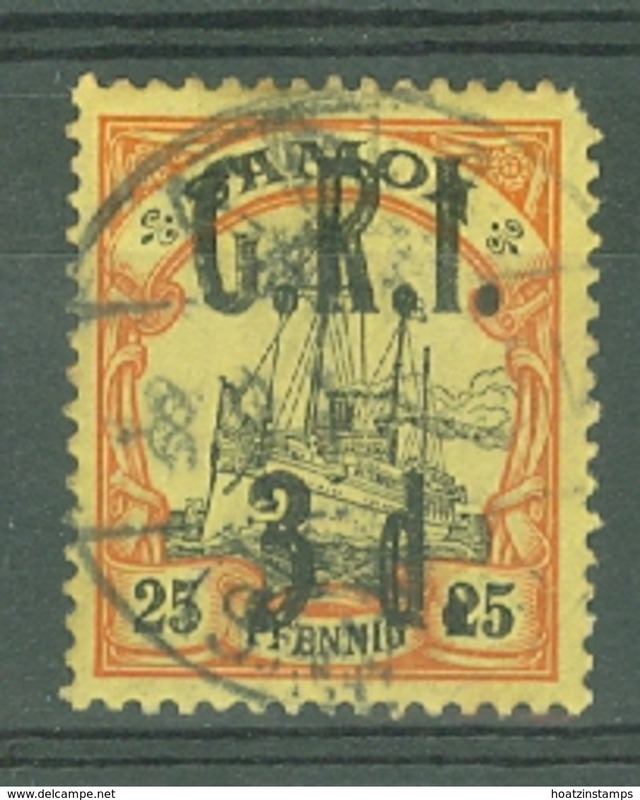 New Samoa 1895-1900 3d on 2d orange-yellow handstamped lightly mounted mint. 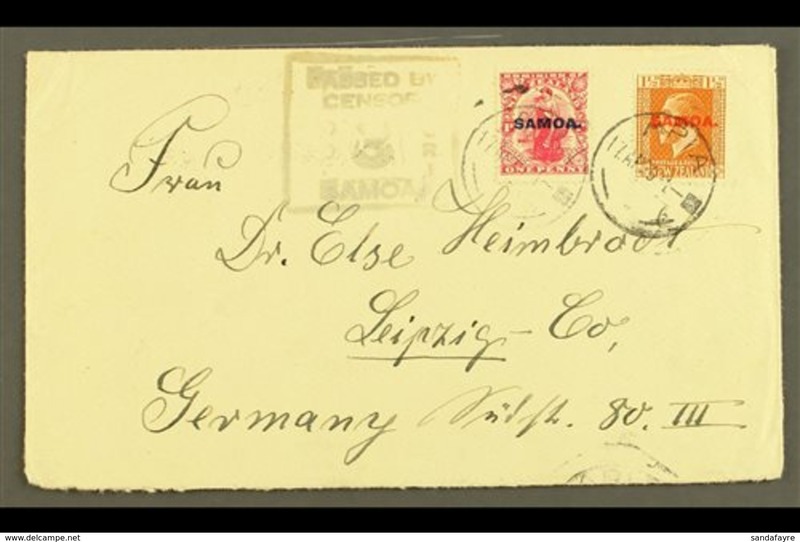 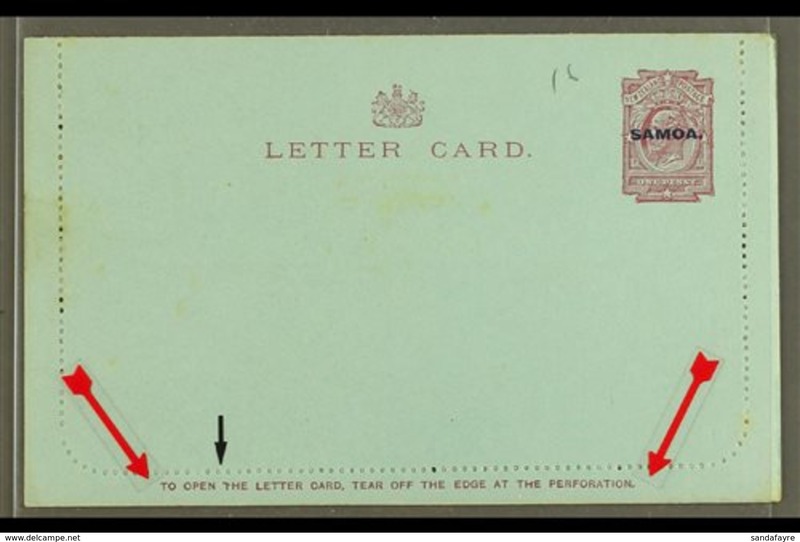 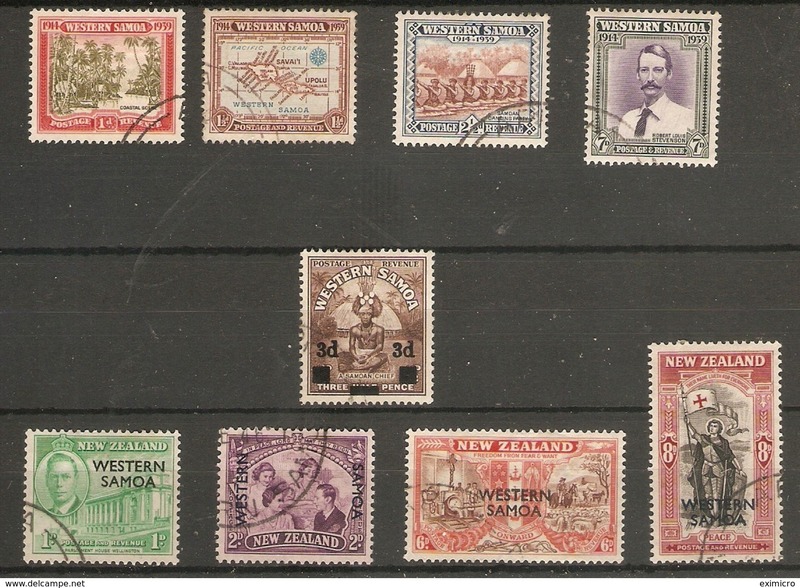 New Samoa 1899-1900 Provisional Government set unused without gum. 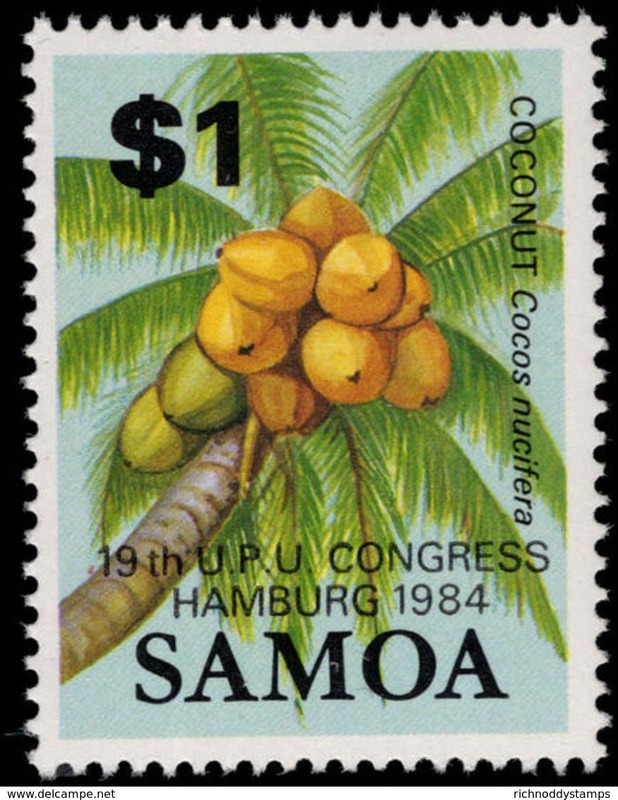 New Samoa 1984 Hamburg UPU unmounted mint. 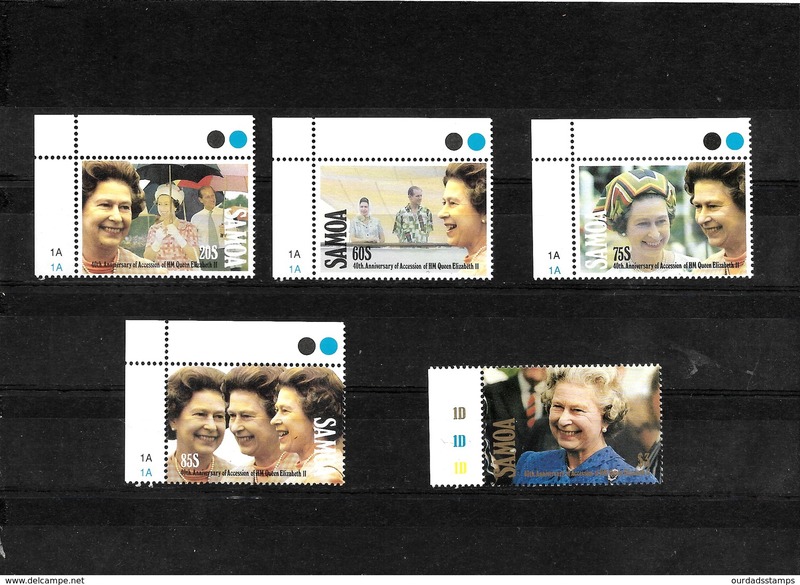 New Samoa 1982 Commonwealth Games unmounted mint. 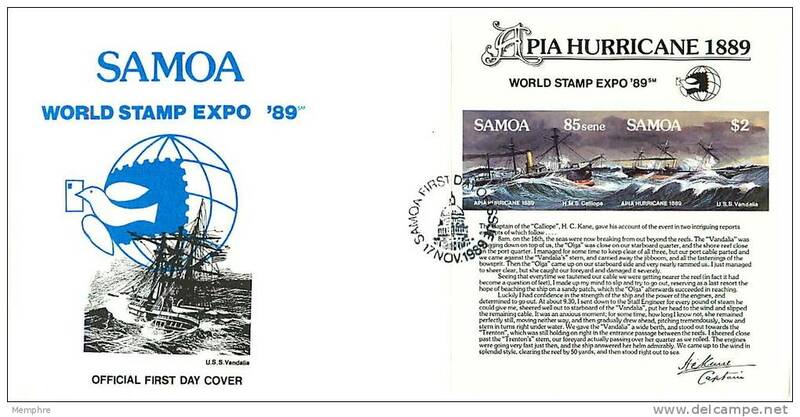 New Samoa 1981 Tattooing unmounted mint. 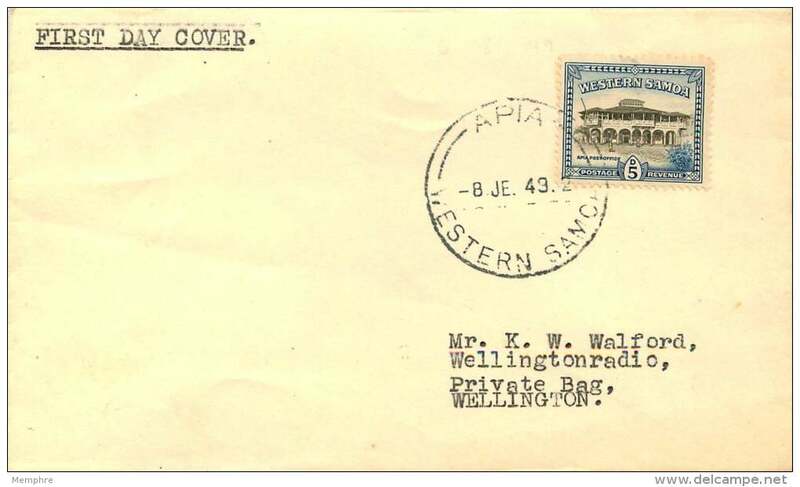 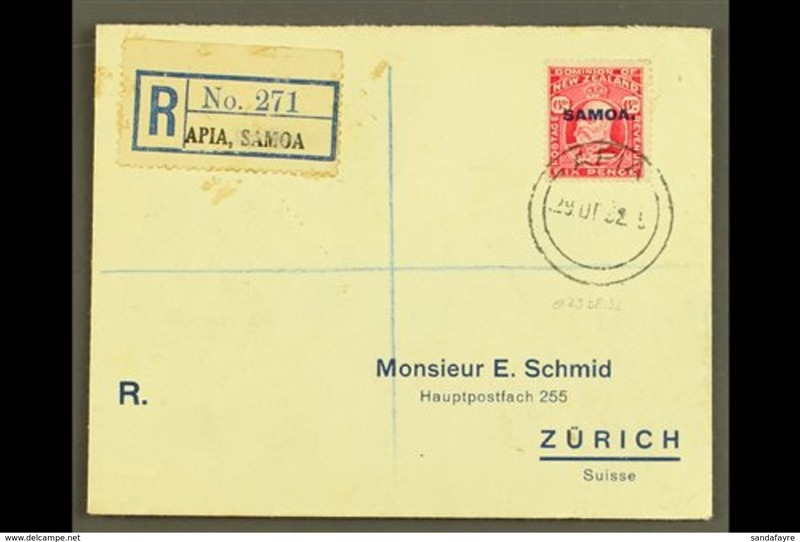 New Samoa 1955 Postal Fiscal set unmounted mint. 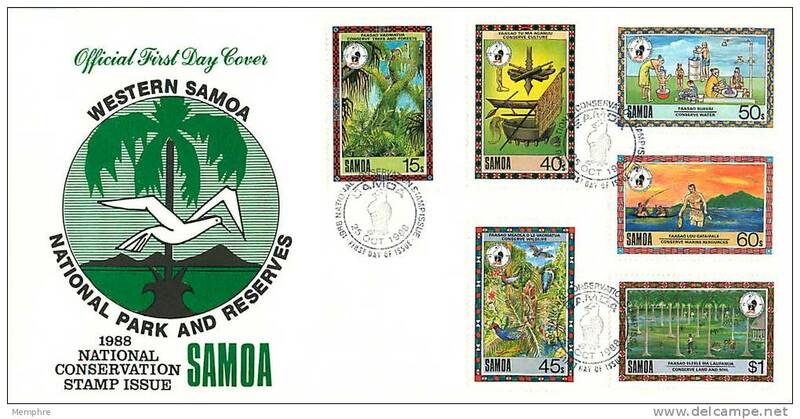 New Samoa 1978-80 Shells set unmounted mint. 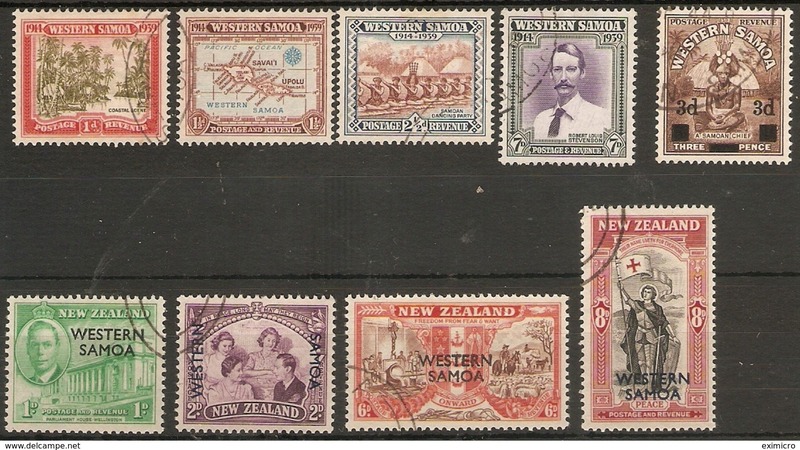 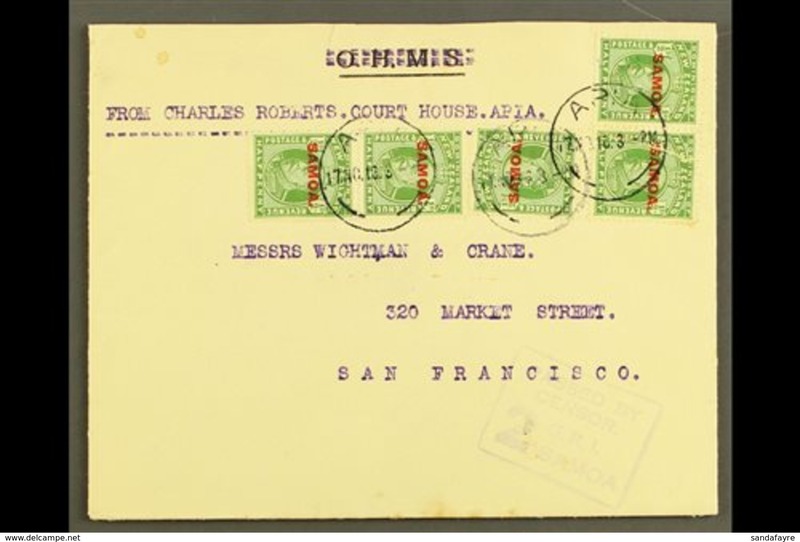 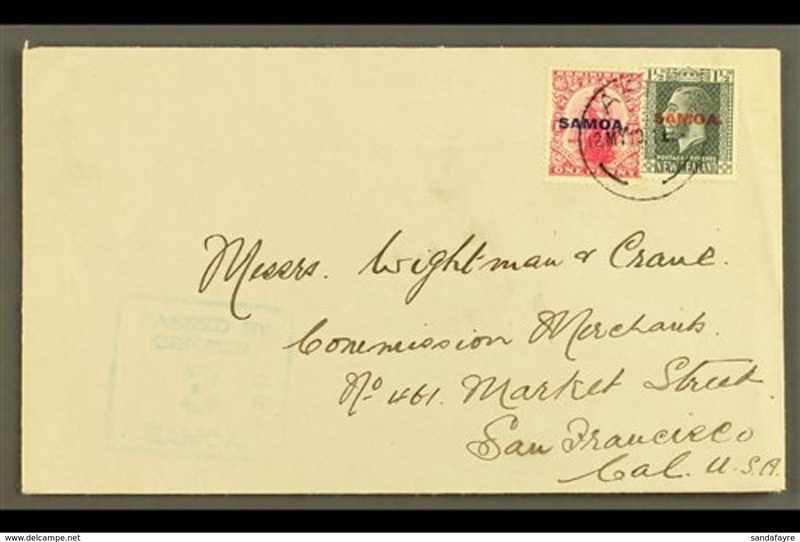 New 1915 KEVII New Zealand overprints, complete set on small plain cover, SG 115/21, each with strike of "APIA" 19.4.15 pmk. 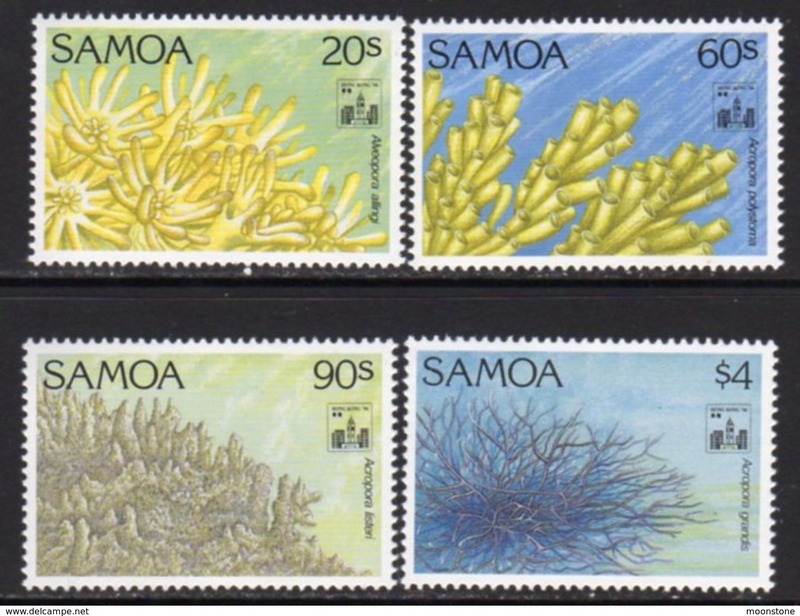 New Samoa 1985 Fungi unmounted mint. 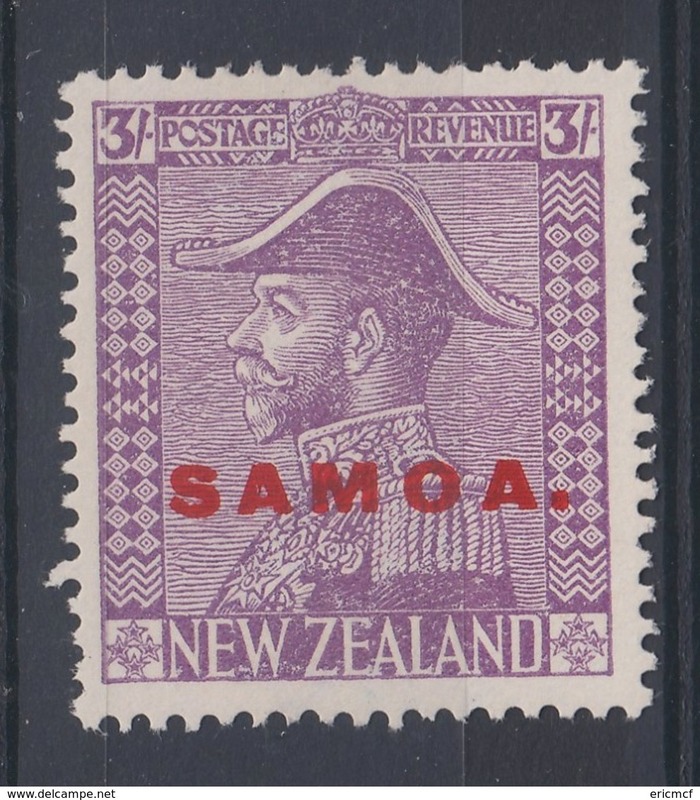 New Samoa 1985 veteran cars unmounted mint. 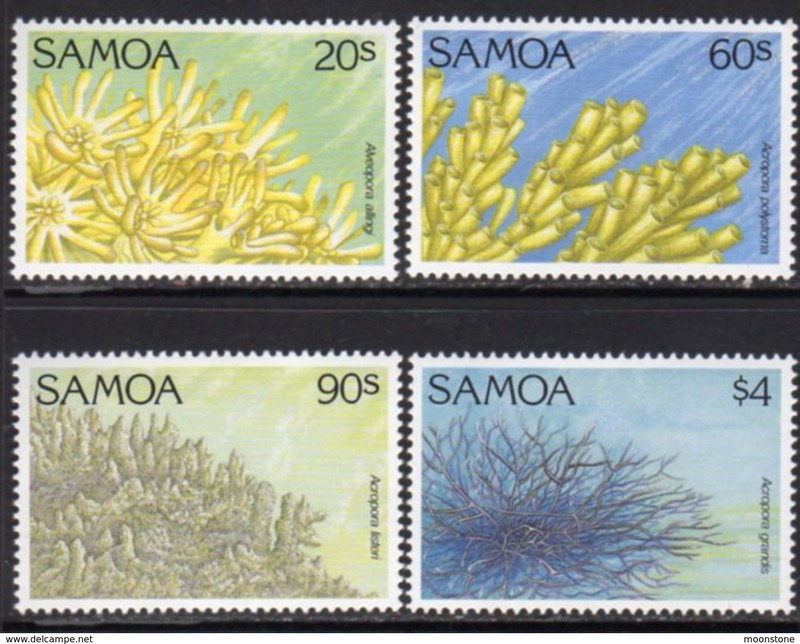 New Samoa 1985 Orchids unmounted mint. 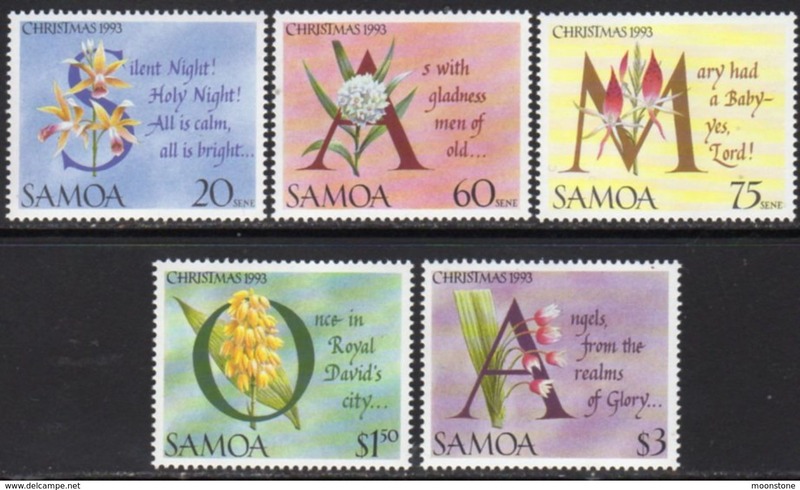 New Samoa 1984 Christmas unmounted mint. 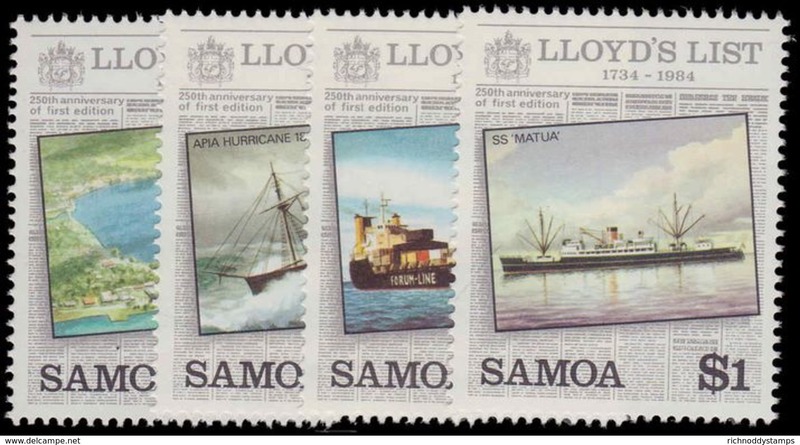 New Samoa 1984 250th Anniv of Lloyd's List unmounted mint. 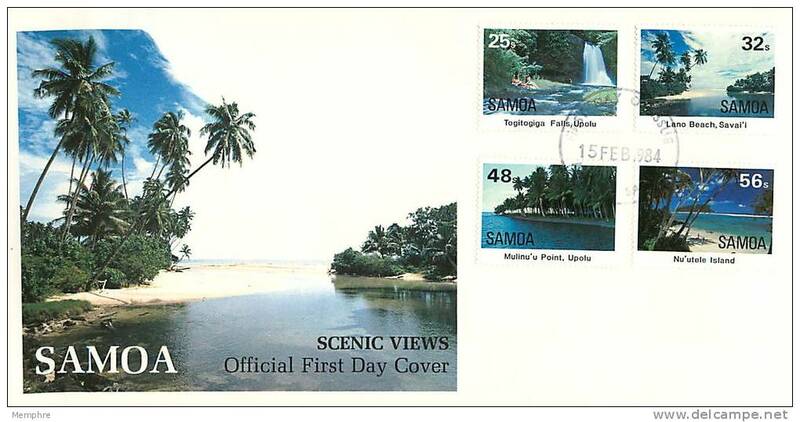 New Samoa 1984 Scenic Views unmounted mint. 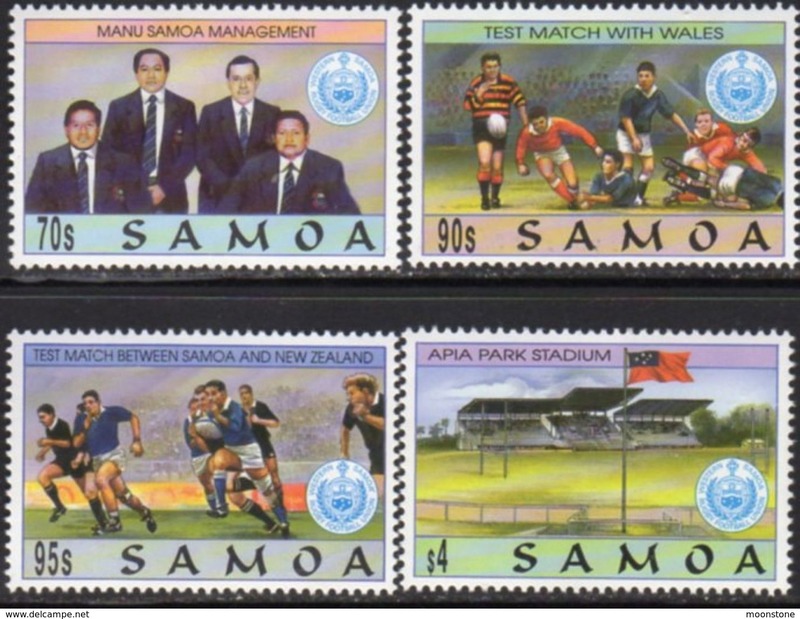 New Samoa 1983 South Pacific Games unmounted mint. 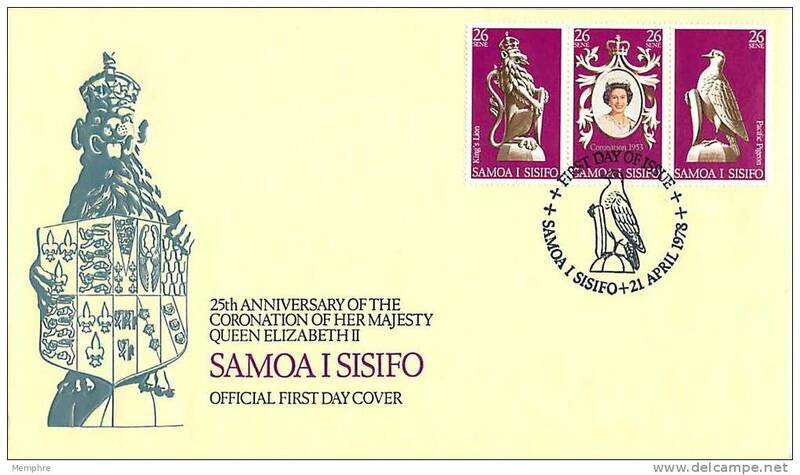 New Samoa 1982 20th Anniv of Independence unmounted mint. 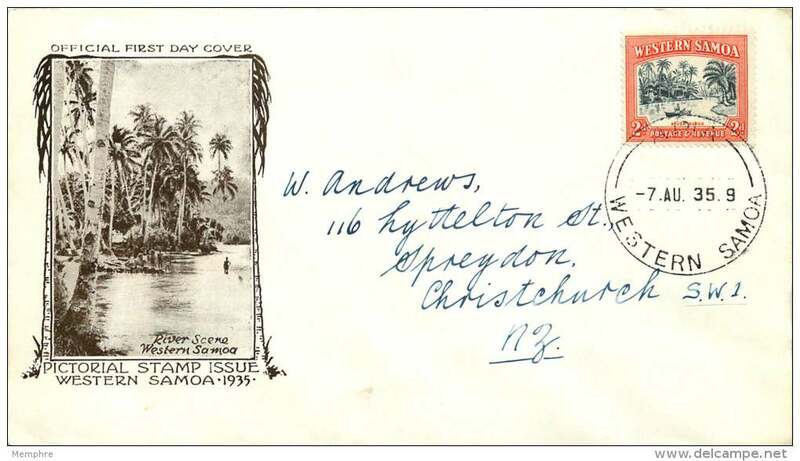 New Samoa 1982 75th Anniv of Boy Scout Movement unmounted mint. 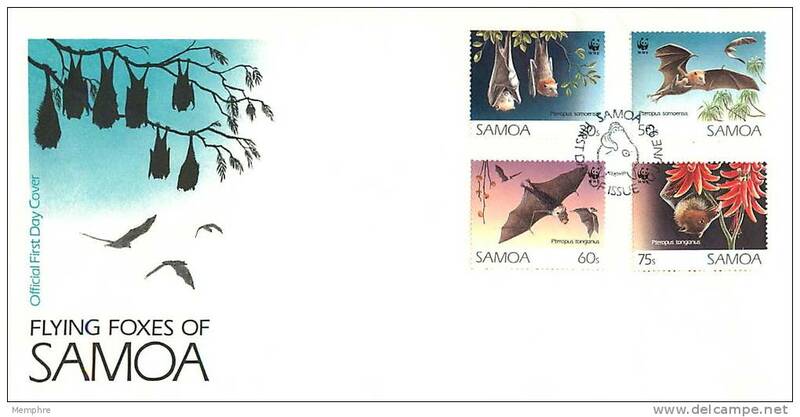 New Samoa 1981 International Year for Disabled Persons unmounted mint. 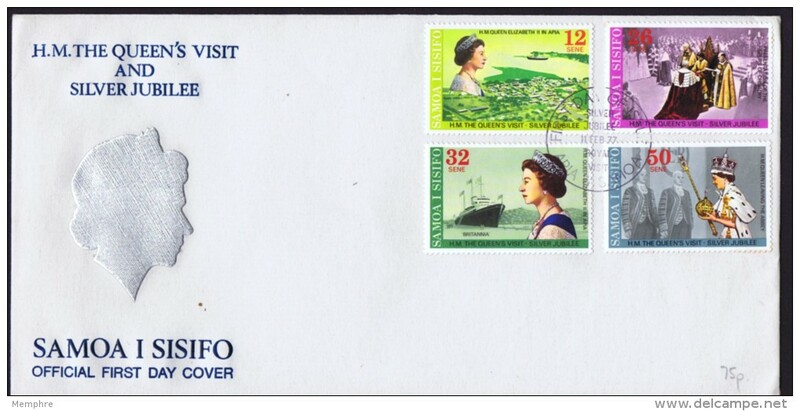 New Samoa 1981 Sailing Ships (3rd series) unmounted mint. 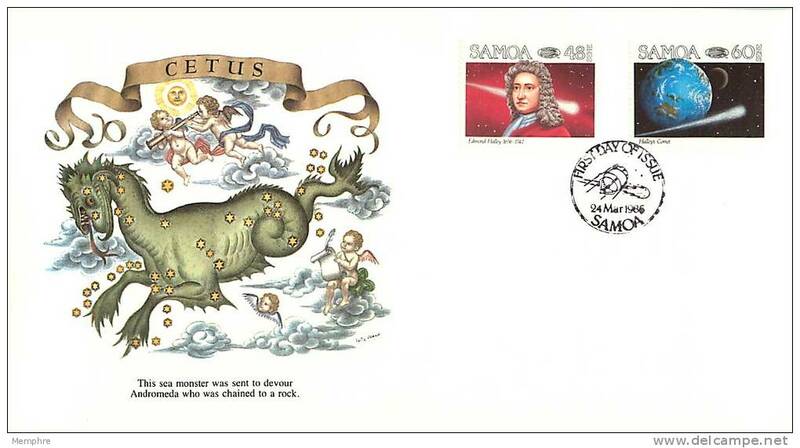 New Samoa 1979 10th Anniv of Moon Landing unmounted mint. 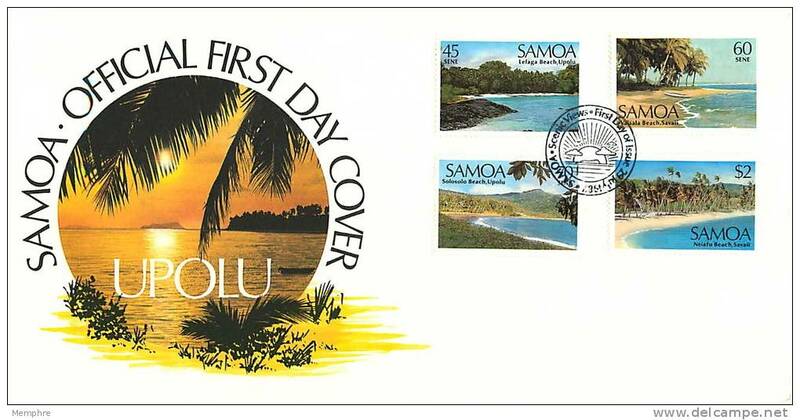 New Samoa 1978 250th Birth Anniv of Captain Cook unmounted mint. 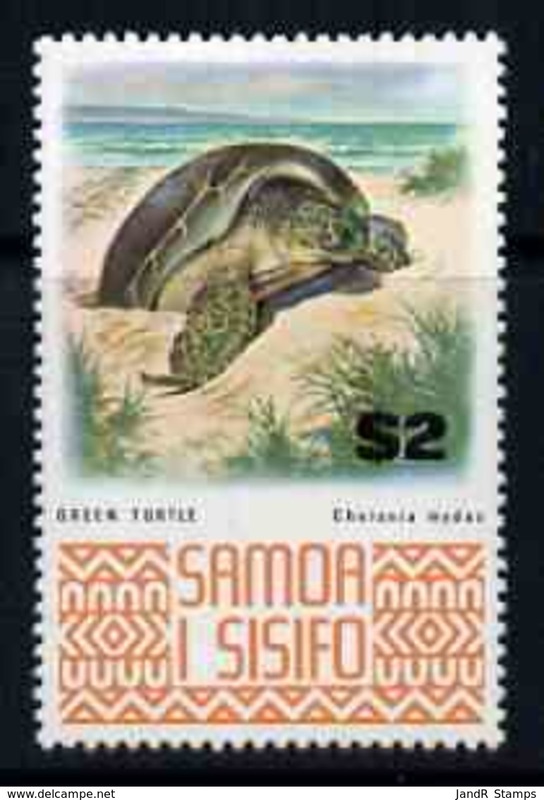 New Samoa 1978 Hawksbill Turtle Conservation Project unmounted mint. 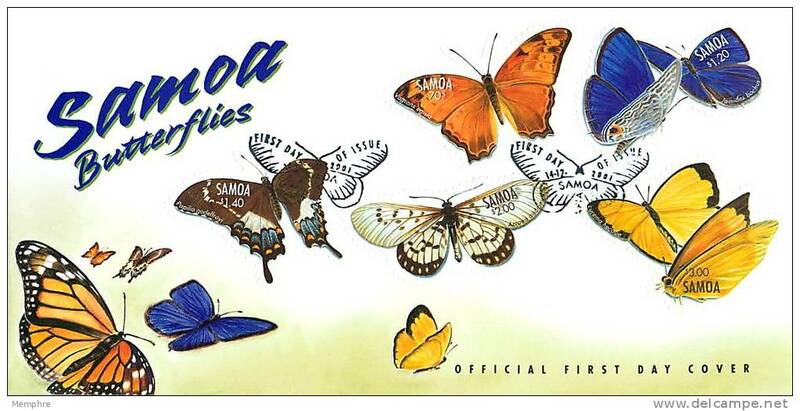 New Samoa 1978 Aviation Progress unmounted mint. 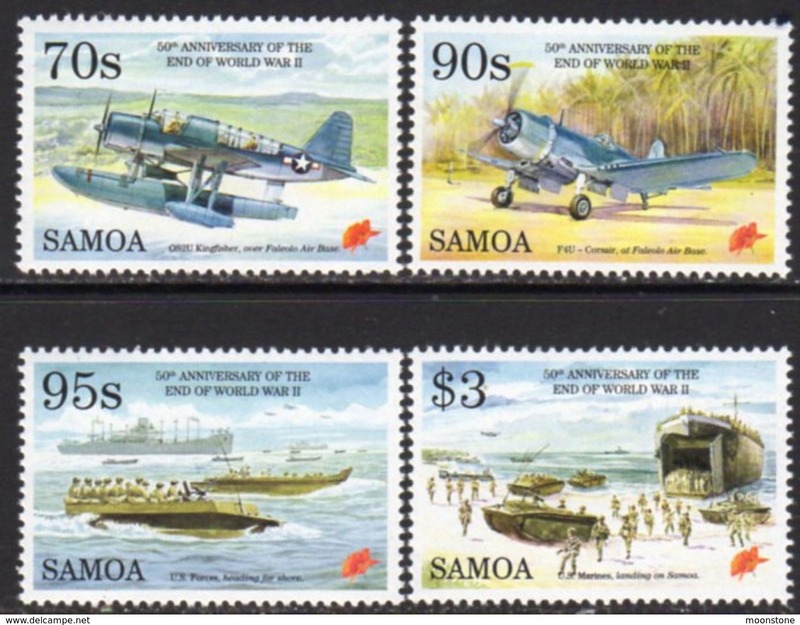 New Samoa 1977 50th Anniv of Lindbergh's Translantic Flight unmounted mint. 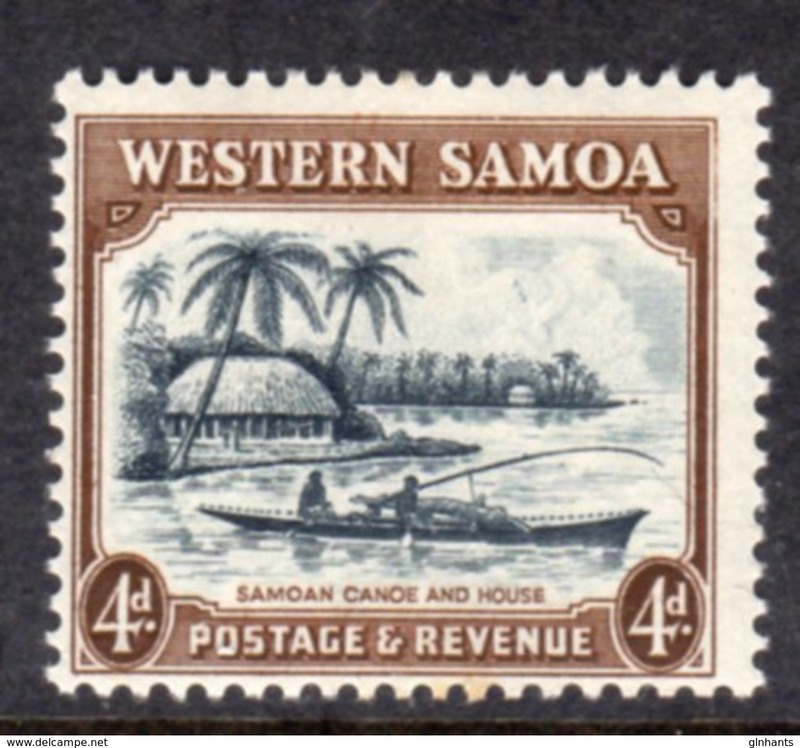 New Samoa 1976 Fishing unmounted mint. 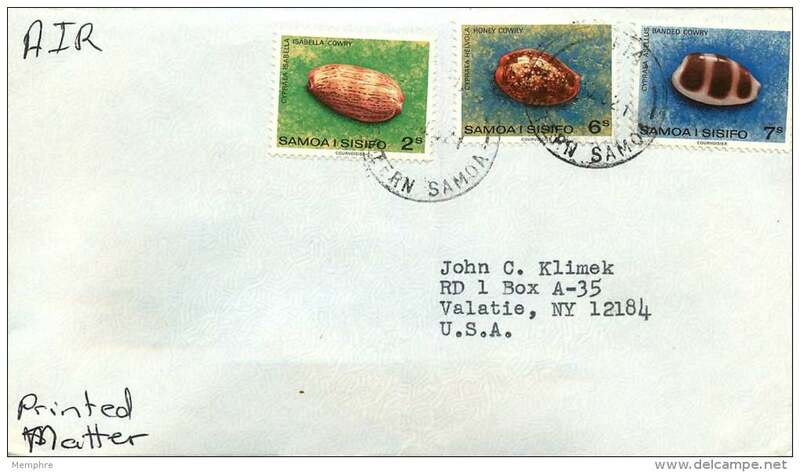 New Samoa 1976 Bicentenary of American Revolution unmounted mint. 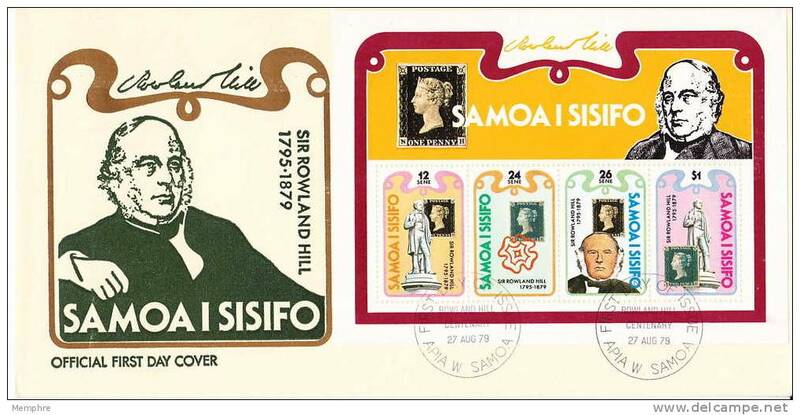 New Samoa 1974 Centenary of Universal Postal Union unmounted mint. 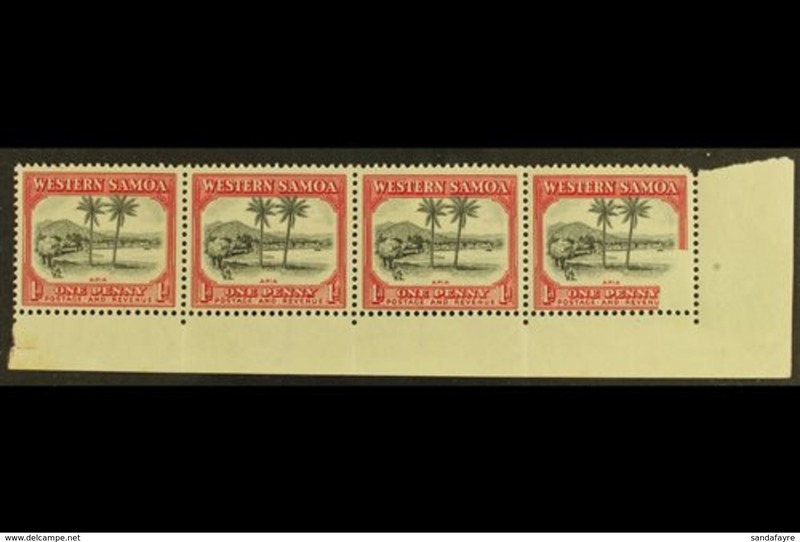 New Samoa 1972 250th Anniv of sighting of Western Samoa unmounted mint. 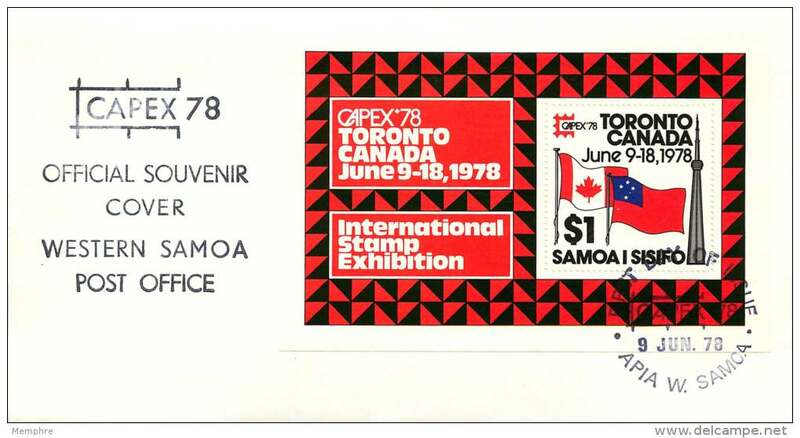 New Samoa 1970 Cook's Exploration of the Pacific unmounted mint. 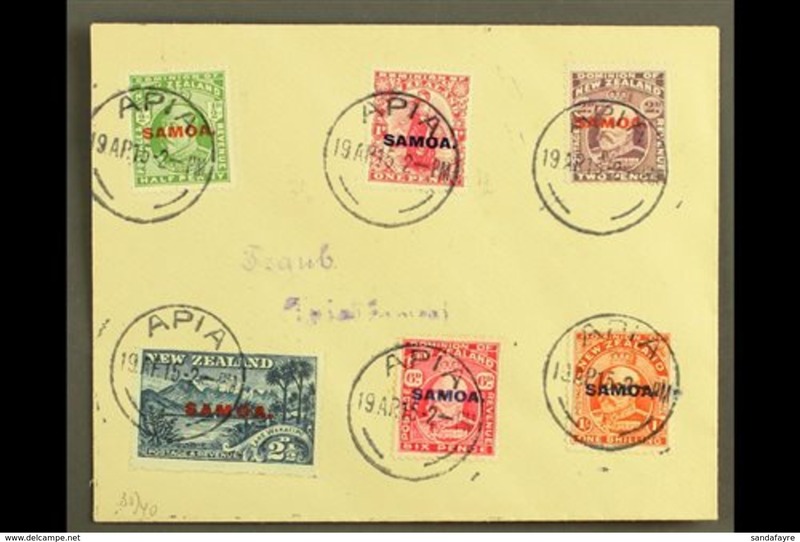 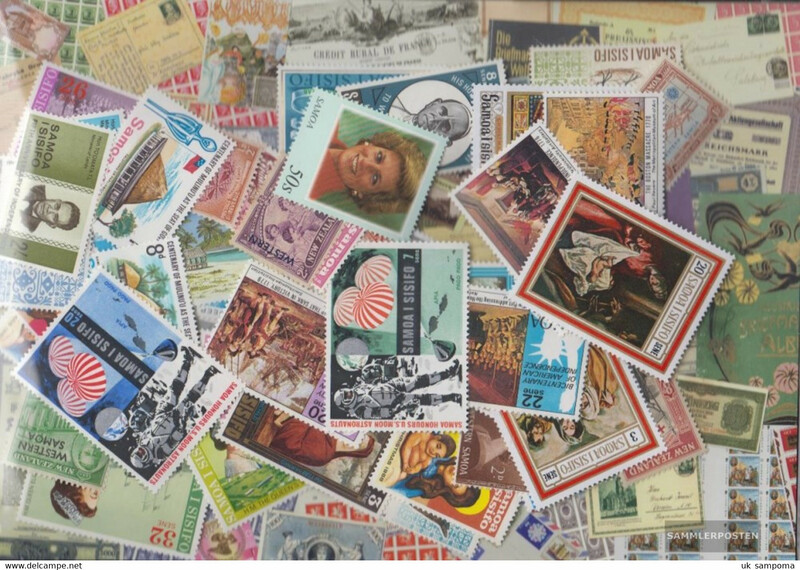 New Samoa 1965 Air set unmounted mint. 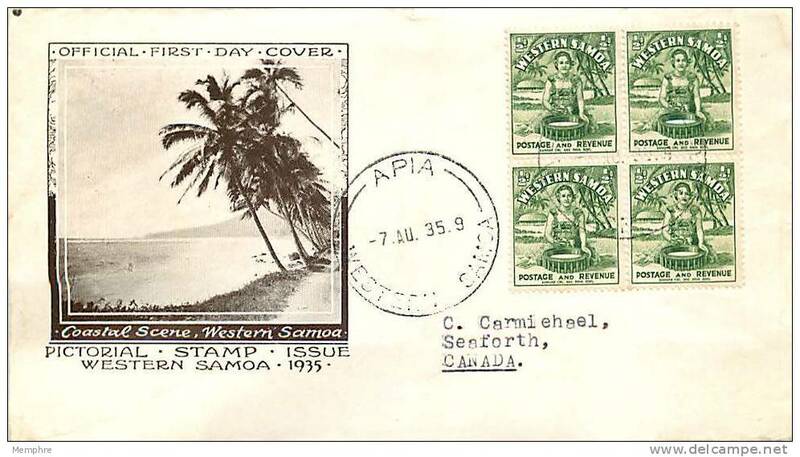 New Samoa 1970 Air. 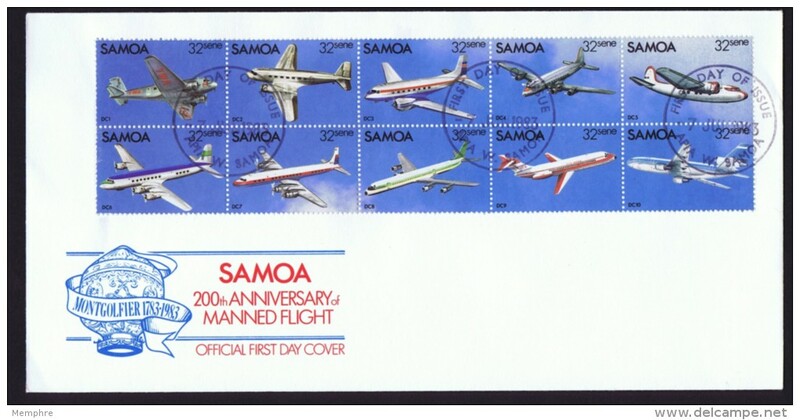 Aircraft unmounted mint. 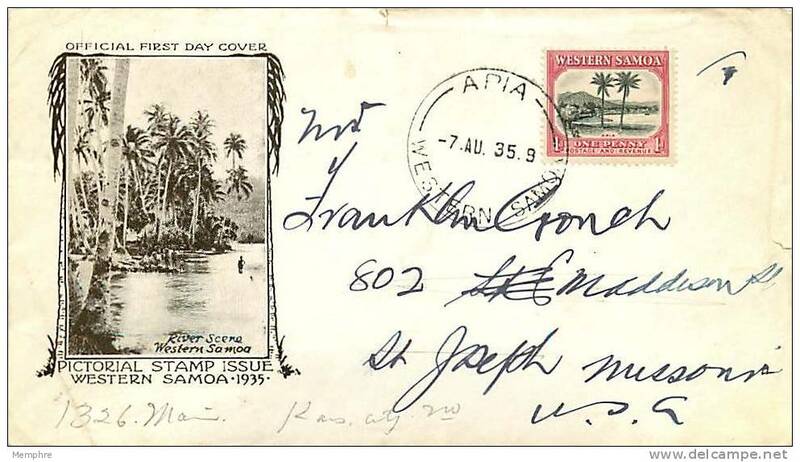 New Samoa 1970 Great Apia Hurricane of 1889 unmounted mint. 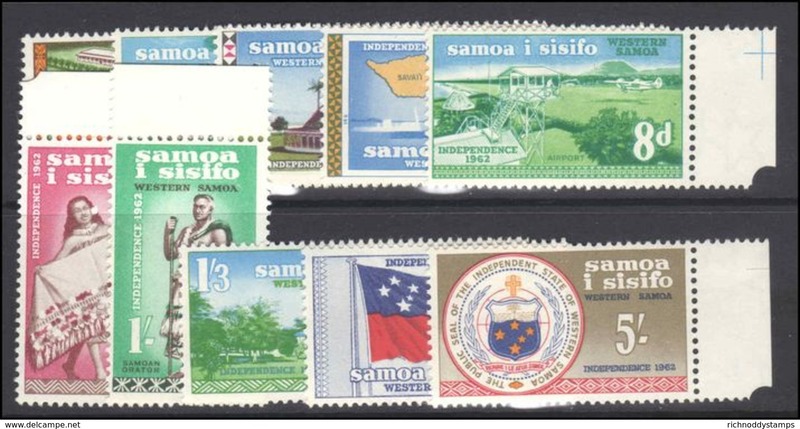 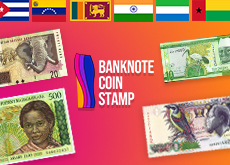 New Samoa 1967 Decimal currency set unmounted mint. 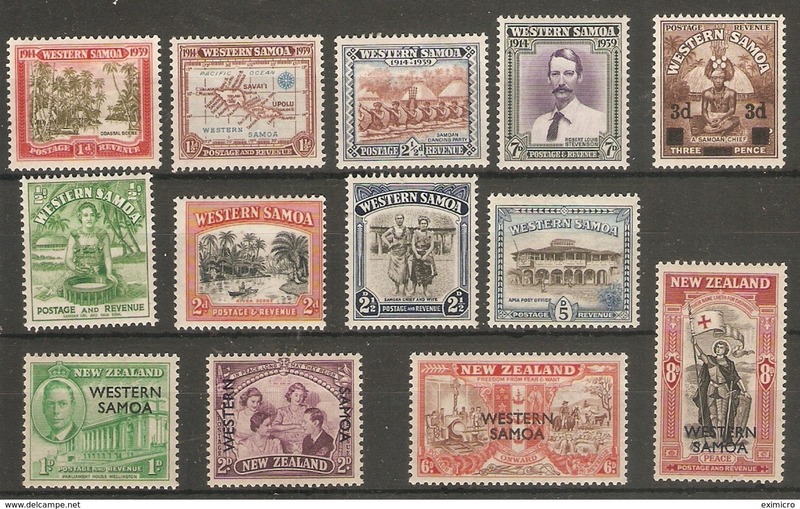 New Samoa 1962 Independence set unmounted mint. 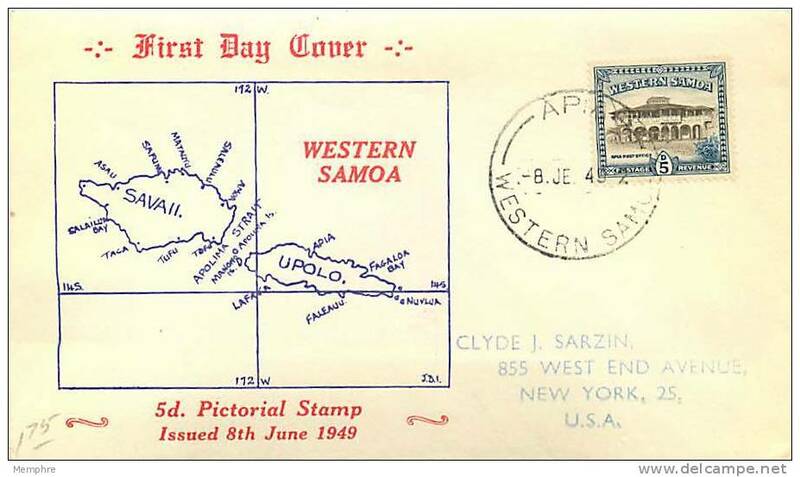 New Samoa 1958 Inauguration of Samoan Parliament unmounted mint.